DATE: April 11, 2018, This webinar has passed. The recording is available On Demand. The freewheeling days of data management are heading for the history books, as a new era of accountability arises. The modern enterprise must embrace responsible policies to manage the complete data lifecycle, from cradle to grave. That includes the so-called right to be forgotten, an imminent mandate via the General Data Protection Regulation (GDPR) that has many organizations looking for answers. Register for this DM Radio Deep Dive to hear Analyst Eric Kavanagh explain why companies must employ comprehensive data governance programs that involve all major stakeholders in a meaningful and defensible manner. He’ll be joined by Matt Hayes of Attunity who will explain why effective management of production data is critical for success in this new era of business. 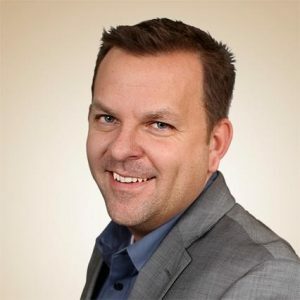 Matthew Hayes serves Attunity as Vice President of SAP Business. Hayes joined Attunity through the acquisition of Hayes Technology Group, which he founded in 1998. Hayes has over 20 years of experience in the SAP industry and is the creator of Gold Client Solutions, a leading solution to replicate data between SAP environments. Gold Client is used daily by some of the largest SAP databases in the world and continues today as a vital solution in the SAP ecosystem. In this role, Hayes continues to lead and oversee the SAP innovations for Attunity.